Carbon Creation is flagship of Hindva, which is active into Manufacturing & Import-Export of Diamonds from Rough to Retail. Headquartered in Surat, with presence in Mumbai, Belgium, Los Angeles and Hong-Kong, with cliental spread across the Globe. Carbon Creation is a prosperous wing and commercial business journey of M.K Group which was established in the year 1987. M.K Group was founded and established by two influential families Kheni & Patel, migrated to Surat from Saurashtra of Gujarat in India. Over the past decades, M.K Group has built its own empire and earned a reputation for being successful in Diamond Manufacturing based out at Surat Gujarat. Carbon Creation is supplier of Certified Diamonds and Loose Diamonds. Carbon Creation is one of the major manufacturer & distributor of Polished and Loose Diamonds and broad supplier to B2B Clienteles, Retailers and Jewellery Traders globally. Carbon Creation believes in adding value to its customer, and therefore its constantly expanding its base and knowledge in product offering and quality standards. Carbon Creation offers various Varieties of Shapes in diamond like Brilliant Round, Cushion, Heart, Marquise, Pear, Princess, Radiant & Square Radiant, Emerald and Oval. The colour ranges from D-to-Fancy, with varieties of clarities like Hearts & Arrows, Certificated Fine makes, Excellent Makes, Single Stones and Mixed Parcel Category etc. The company has state of the art Diamond Manufacturing facility in Surat which is equipped with latest machinery, operated by high skilled personnel, together with accurate planning, prompt production, and the new age quality control system of efficient production. Carbon Creation’s success is attributed to its customer centric philosophy, the standards it maintains of fair trading practices, in combination with the core family business values, that resulted into loyal customer base spread across the globe. 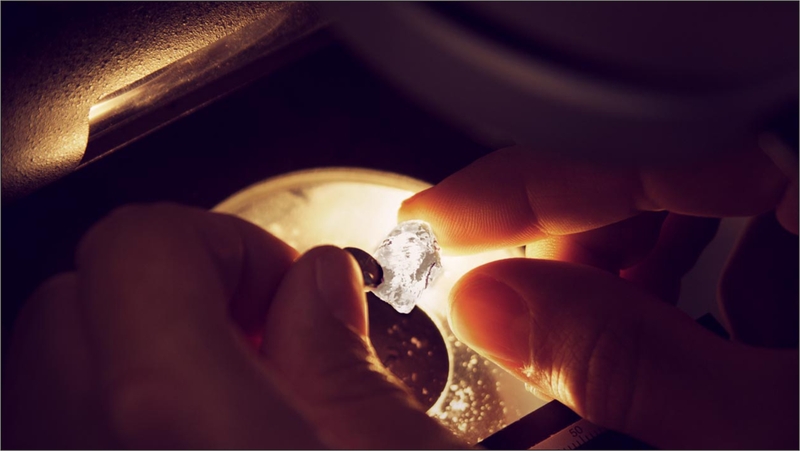 In 2015, The Group started R&D in Lab Grown Diamonds and started growing diamonds from 2019 with the name of Greenlab Diamond Technology which has its market brand Diabon that serves the qualitative fulfillment to its clientele.